World Cup bitcoin betting for Group B may appear to pivot on the Iberian Derby between Portugal and Spain. This may unfairly throw the group’s other two nations – Iran and Morocco - into the shade and the European nations cannot take anything for granted. Are Portugal over the hill? The most exciting news for neutrals is that, on day two of the World Cup, both games from Group B are vitally important. First Morocco take on Iran in what is essentially an early play-off (the loser surely cannot qualify), and then Portugal and Spain go head-to-head for the first time since Euro 2012, when Spain progressed on penalties after a 0-0 draw in Donetsk. Curiously, winning Group B might not be such a good thing. Such is the way the tournament tree splits after the first round (and since both Iberian sides should comfortably beat whichever of Russia, Uruguay, Egypt or Saudi Arabia they draw in the second round), the nation that tops this group will likely face Germany in the quarter-finals then Argentina in the semi-finals. But the group runner-up will probably come up against France in the quarter-finals and Brazil in the semis, which, on paper, is a marginally easier route to the final. Nevertheless in a local derby there is no chance Portugal and Spain will simply settle for a draw, particularly not when the games against Iran and Morocco – both defensively diligent young teams - could end disastrously for either of the two favourites. The 6-1 destruction of Argentina in March was confirmation that Spain are beginning to find their rhythm at just the right time. Coach, Julen Lopetegui ,has successfully managed to integrate some younger midfielders into a worryingly old squad, with Spain winning 28 of a possible 30 points in qualifying thanks to the form of Isco and Thiago. The likes of Sergio Busquets, Andres Iniesta, and Sergio Ramos are still important members of the squad, but increasingly it looks as though the disappointments of Euro 2016 are behind them. Isco’s hat-trick against Argentina was further evidence that he is now their most important creative player, although David Silva’s magnificent 2017/18 season means he will be crucial for the Spanish. The only real issue for Spain is up front; Alvaro Morata was dropped from the squad altogether in March having struggled to adapt to life at Chelsea. Diego Costa is struggling for match sharpness while Valencia forward Rodrigo Moreno isn’t of a high enough quality. Spain are by no means the swashbuckling possession side we saw dominate football a decade ago, but with the defensive core of that golden era still around, they will at least be hard to break down. Sergio Ramos and Gerard Pique make for a formidable centre-back partnership, and since both players know Cristiano Ronaldo inside out it is likely the Portuguese could be nullified in the opening match. On paper, Portugal are a better team than the one that won the European Championships two years ago, but in fact there are some serious flaws in Fernando Santos’s side. They still rely on cautious defensive football coupled with the ingenuity of Ronaldo (it’s worth remembering Portugal won just one game in 90 minutes at Euro 2016, drawing six of their seven matches excluding extra time and penalties), while their back four is getting old. Portugal have struggled to replace Pepe (35), Jose Fonte, (36) and Bruno Alves (36), all of whom should make the squad. What’s more, too many of their up-and-coming stars have struggled domestically. Andre Silva hasn’t even reached double figures of Serie A starts for AC Milan, Bernardo Silva isn’t playing regularly enough for Manchester City, and the less said about Renato Sanches the better. Portugal recently lost 3-0 at home to the Netherlands, casting doubt over their ability to compete this summer despite an almost flawless qualifying campaign. Considering Ronaldo’s outstanding form for Real Madrid in 2018, and the fact that Portugal’s low-tempo football will help to conserve energy for the knockout rounds, it would be unwise to write them off. But right now, the pieces just haven’t clicked into place. Morocco are back at the World Cup after a 20 year absence, and if history is anything to go by they’ll be a fascinating team to watch. In 1986 they became the first African team to reach the knock-out stages of a World Cup, finishing above Portugal and England in the group before losing 1-0 to West Germany. In 1998 Morocco were desperately unlucky to finish third in the group stages despite a 3-0 win against Scotland. Not for the first time, Morocco enter the World Cup with a solid defence, battling midfield, and the ability to launch high-tempo counter-attacks. Juventus defender, Medhi Benatia, is the foundation of a back-line that qualified for 2018 without conceding a goal, while Galatasaray’s Younes Belhanda, and former Aston Villa midfielder, Karim El-Ahmadi, provide balance in the centre of the park. On a 15-match unbeaten run that includes a 2-0 win away against Ivory Coast and the 4-0 destruction of Nigeria, Morocco will be very stubborn opponents. Ajax’s Hakim Ziyech is the only notable creative player (and the nation’s best attacker since Mustapha Hadji, now the nation’s assistant coach), but when up against Portugal and Spain, the Moroccans may opt for caution, looking for 0-0 draws. They could cause a big upset. There are some obvious similarities between Iran and Morocco. Like the African side, former Manchester United assistant manager Carlos Queiroz has built a very defensively strong team that looks to spring quick counter-attacks. They qualified for the World Cup having conceded just two goals in ten matches. Unlike Morocco, Iran are a very direct team that will be relying on long balls forward, an aggressive target man, and an uglier brand of football. Quieroz has been experimenting with a more high-pressing tactical style in recent friendlies, perhaps suggesting he hopes to outplay Morocco in the opening match before reverting to a more defensive model against the Iberian nations. There is little doubt that Iran do not have as much technical quality as the rest of Group B, although their extra experience (Iran have qualified for back-to-back World Cups for the first time) could prove crucial under the pressure of that first game. They’ll need Rubin Kazan striker Sardar Azmoun, scorer of 23 goals in 31 internationals, to be at his best to stand a chance of winning points. Pre-tournament analysis of Group B will no doubt revolve around the battle between Portugal and Spain, but bettors would be foolish to assume this is a two-horse race. It is an overused cliché, but there are no easy games at the World Cup, and Iran and Morocco will certainly prove that. 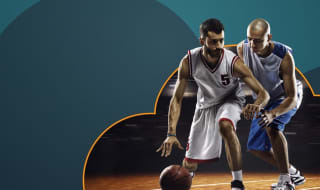 Even if outright World Cup Group B betting seems unappealing there are a huge range of alternative markets available at Cloudbet; take advantage of our great value odds, high limits and the advantage of betting on the World Cup with bitcoin. Another international tournament, another chance for Cristiano Ronaldo to steal the show. The opening game between Portugal and Spain looked like a walk in the park for Spain, even with their new manager. We saw the breadth of their passing game, sometimes electric but always impressive. Portugal looked set for an opening loss. Only no one told CR7. The ability of world-class players to influence entire games is what sets them apart from other athletes. His hat-trick not only put him on course for the golden boot but saved Portugal's tournament with a 3-3 draw. Morocco and Iran have perhaps performed closest to expectations, a closely fought match between them and putting up stern, ultimately futile, resistance when playing the two giants of European football. Read about how these games were affected by new laws and technology in our World Cup overview.